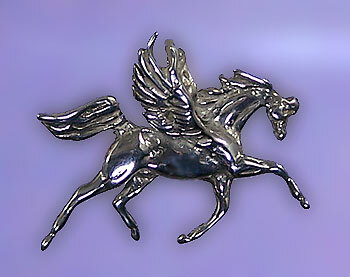 Pegasus Horse Pendant great for any horse lover. The Gorgeous Horse, your number one destination of equine jewelry. Legend has it that everywhere Pegasus touched the ground with his hoof a beautiful spring was born. Wear this symbol of beauty wherever you travel and let your inspiration soar into the sky! Available in 14 kt yellow gold, white gold and sterling silver.